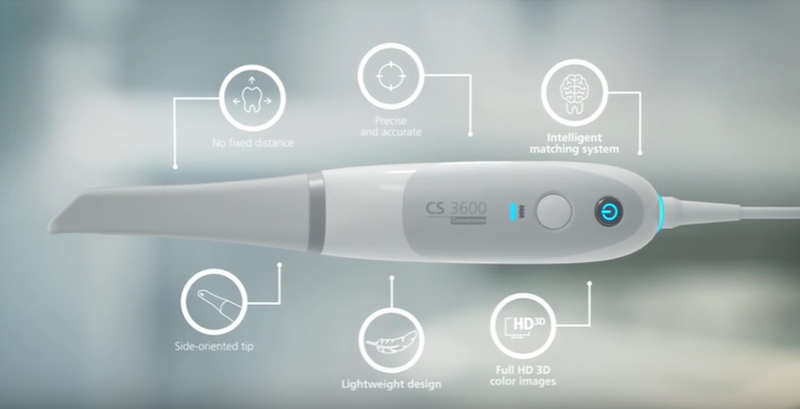 If your practice integrates a CS 3600 Intraoral Scanner into your systems, you’ll experience faster, easier and more open scanning capabilities. The CS 3600 makes scanning smarter and will adapt to the services your practice handles, whether its restorative, orthodontic, or implant related, it will capture it quickly and efficiently. Use the scanner as a simple solution and send scans to the labs of your choice. Integrate with CS Solutions CAD/CAM restorative portfolio for complete chairside restorative workflow. Fast and efficient digital models for study or for use in fabrication of appliances. Dedicated workflow designed for implant-bourne restorative scanning that is supports abutments and scan bodies.